Inclusive of all taxes and delivery charges. Pay through Credit Card/Debit Card/Netbanking. 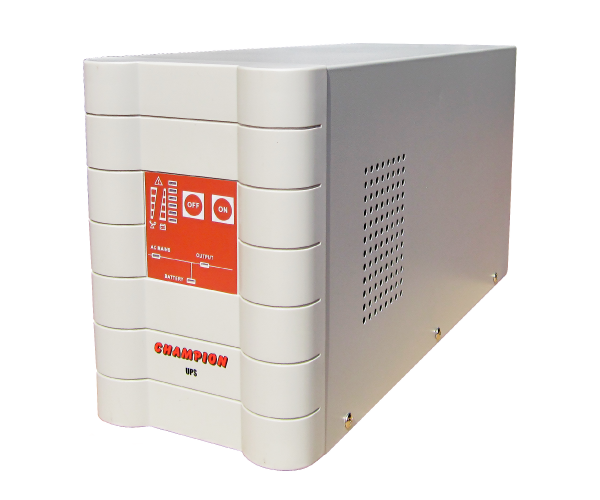 The Champion line interactive pure sine wave UPS comes with extended runtime solution and it is designed for superior protection, high performance and reliability. This is the ideal solution for the protection of computer system, peripheral network devices, servers & network backup systems. Higher Power Protection: The Line Interactive technology combined with EMI filters for protection from surges and transients. 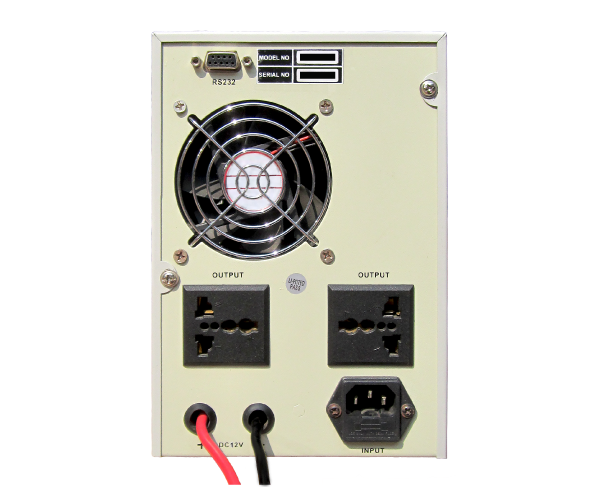 When the mains power supply fails, the load is powered by the inverter, providing a stable sine wave output for maximum power continuity and reliability. These UPS comes with Automatic Voltage Regulator (AVR) provides protection from brownouts, surges, over voltages and under voltages, without battery intervention. This UPS comes with built in heavy duty battery charger which enables to increase the backup of the UPS depending upon the power outages. These UPS are compatible with any battery and it maximizes useful battery life by widening the input voltage window or tightening the output voltage regulation. Full protection from Short-Circuit, Overload, etc. * Specifications are subject to change without any prior notice. Using it for long time, no problem at all, provides stable power, I can say that my devices are well protected. Backup time vary with battery used. You can get backup time from 15 mins to many hrs. Have a Question? Get answers from experts. Existing Installations: Consider a central back-up system to eliminate expensive re-cabling. Wise to involve a company specialising in power conditioning. New Installations: Access the level of power protection required. Some installations may demand that every item is supported by UPS, others may only require UPS for a central server and one or two workstations. Type of Client/Application: Emergency services, financial institutions, Industrial etc. This can have an impact on the system specification. Site Location: Inner city areas may be more susceptible to power fluctuations. Rural areas may be affected by weather conditions on power lines. More remote areas may be located at the very end of the power line. What is Sine wave ? It is the ideal waveform for the transfer of AC power. There are two types of waveforms available. A "modified sine wave", and the "true sine wave". Modified Sine Wave -The modified sine wave is not really a sine wave at all. It is more less a "stepped wave". It achieves voltage regulation by varying in width according to the battery voltage and the load. Thus, the wave is not as smooth as a sine wave. The quality of modified sine wave inverters should not be underestimated. They are highly capable, and (by narrowing the waveform) they save energy when running only small loads, as happens during most of the day in a typical home. Modified sine inverters have been successful in many thousands of remote home, RV and marine systems since 1986. True Sine Wave - Also known as Pure Sine Wave, is the most reliable waveform and provides power almost identical to a standard wall outlet. The power produced fully assures that your "sensitive loads" will be correctly powered, with no interference. Some appliances are likely to require Pure Sine Wave including digital clocks, battery chargers, light dimmers, variable speed motors, and audio/visual equipment. For these reasons, true sine wave inverters can be more a more expensive choice. What is the difference between "KVA rating" and "KW rating" of UPS? What is the Input Power Factor (p.f.) of the UPS at different loads? Power factor is a function of phase displacement angle between voltage and current and distortion factor. It is calculated as a ratio of real power to apparent Power drawn by load. PF is low at lower loads and goes on improving at higher loads. PF is also lower at higher input voltage and goes on improving as voltage reduces. Input Power Factor is independent of type of load for double conversion technology. There are two ways in which you can monitor your UPS remotely. 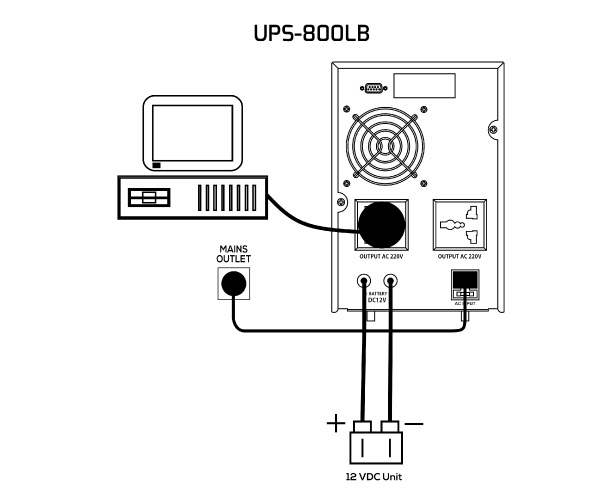 One option is to install a wall mounted Remote Panel (MultiPanel) that connects to the UPS to a serial port on the UPS and offers the advantage of full digital metering (available for all UPS models - 400 m cable max and required 230 Vac UPS backed mains supply). The panel incorporate a multi function audible alarm with mute facilities and lamp test. Yes, the MST, MPS and MHT ranges employ a plug and play parallel system that allows additional units to be added to an existing system at a later date. 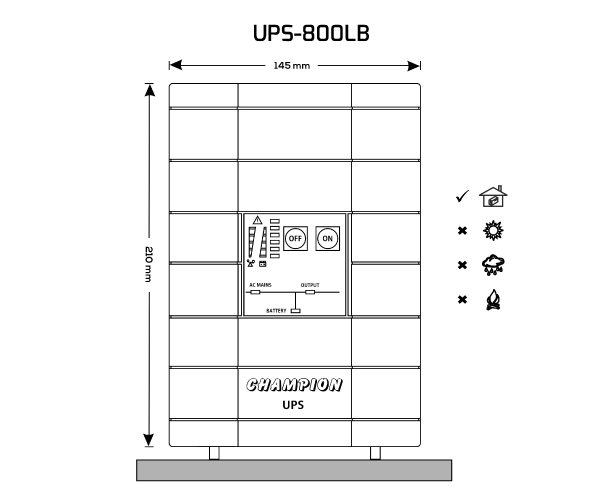 Additional UPS units can be added to either provide redundancy or extra capacity if the load increases. Sometimes it’s worth investing in additional switchgear early on so that more units can be accommodated much more easily. Not sure which product fits your business needs? Our success is based primarily on close collaboration with our channel partners. There are more than 400+ channel partners are associated with us and we are always looking for good partnership. Come and become a part of our team and get the many benefits as you go along. We have wide range of products to provide solution for your every requirement - be it for your desktops, servers or sensitive home electronics. Our products are available on every online marketplace like Flipkart, Snapdeal Amazon, Paytm, Pepperfry, eBay and so on. View our products online and get a best deal. We provide all power protection & backup solution, And specialize in creating customize solutions as per your need & requirement. We are committed to providing our customers with the most efficient and reliable power solutions. Have any comments or questions regarding our products & services.